When Day 3 of Event #31: $1,500 Pot-Limit Omaha Hi-low 8-or-Better began, Jarred Graham was the short stack of the remaining 14 players. Seven levels and change later, Graham possessed all of the chips and the coveted World Series of Poker gold bracelet. Graham wasted little time getting his chips in, doing so within the first 20 minutes of the day. He doubled through Grzegorz Derkowski, and Derkowski busted shortly thereafter. He was followed to the payout desk by Andy Seth, Mel Randolph, David Brooker, and Stephen Johnson before the official final table was set. Three-time bracelet winner Perry Green began the day as the chip leader, but was eliminated in ninth place by Barry Greenstein. 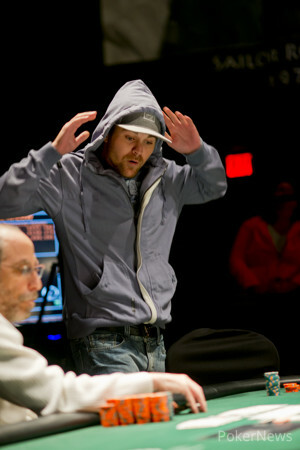 By the time Joao Simao exited in eighth place, Greenstein had nearly half the chips in play. Graham took a backseat as he watched Eric Rodawig fall in seventh place, Loni Harwood depart in sixth place, and Gabriel Blumenthal hit the rail in fifth place. Graham got in on the action again when he eliminated Noomis Jones in fourth place. The chip stacks at three-handed play were almost even, though Graham was the shortest. He took the chip lead when he doubled through Marco Johnson when both players had a full house. Johnson climbed back from the short stack, resulting in Greenstein falling in third place to Graham. Already with two runner-up finishes at the WSOP, Johnson would finish second once again as Graham's 4-to-1 chip lead was too much to overcome. 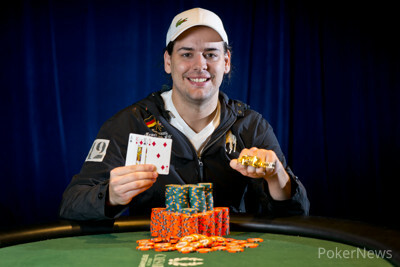 Congratulations to Jarred Graham for winning his first WSOP bracelet and earning $255,942. Thanks for following our updates and until next time, good night from Las Vegas! Marco Johnson had worked his stack back up to over a million before the final hand of the tournament. Action started with Johnson raising it up to 160,000, and Jarred Graham reraised to 480,000. Johnson tanked for about 90 seconds before making the call, and the flop came down , and Graham instantly bet pot, enough to put Johnson all in. Johnson stood up out of his chair, and began mumbling some numbers to himself, trying to figure out if he had the odds to call off. The last thing he said was, "I have a pair I have to call." Johnson was looking to pick up a second pair to take the lead, or catch running low cards for a low. However, the on the turn ended things, giving Graham an unbeatable set of kings. 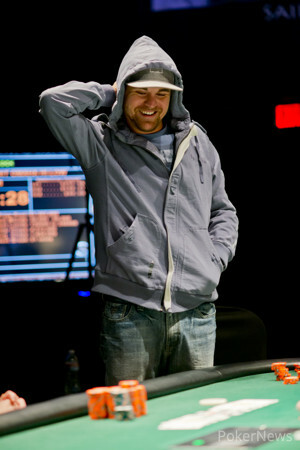 The meaningless river was the , and Johnson had to settle for his third career runner-up finish at a WSOP event. "I've taken second twice before, so this one wouldn't hurt as much," Johnson said to Graham before heads-up play began. 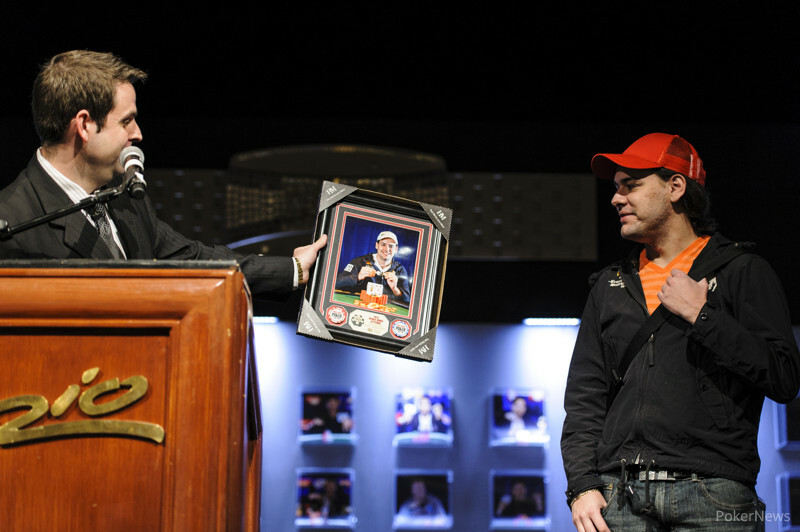 Johnson finished runner-up in a $2,000 No-Limit Hold'em event in 2008 for $491,273 and in a $2,500 No-Limit Six-Max event last summer for $112,525. 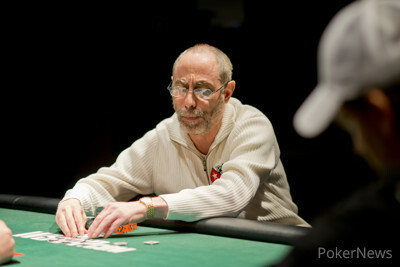 Barry Greenstein raised to 125,000 on the button and Jarred Graham defended his big blind. The flop came down and Graham checked to Greenstein who bet 100,000. Graham raised the pot, Greenstein reraised all in for about 700,000, and Graham called. Graham was in the lead with two pair and maintained it through the turn. Greenstein picked up a low draw, but the river was no help, ending his run in third place. The play has continued to be tight three handed, but Jarred Graham has slowly been extending his lead one pot at a time. As for right now, both Marco Johnson and Barry Greenstein are under a million. Barry Greenstein raised to 125,000 on the button and Jarred Graham called from the big blind. The flop fell and Graham checked to Greenstein who bet 160,000. Graham raised the pot to 760,000, Greenstein folded, and Graham won the pot. Marco Johnson has slowly worked his way back into this three way battle, as he just took down the first family pot of three handed play. Barry Greenstein made it 125,000 to go on the button, and both Johnson and Jarred Graham called. The flop came down , and everyone checked. The hit the turn, and Johnson bet out 150,000. Both players folded, and Johnson is suddenly back up to 1.1 million. Jarred Graham made it 125,000 from the button, and Marco Johnson bet pot to 405,000 from the big blind. Graham set him all in, and Johnson made the call. The flop came down , and Johnson was in trouble. The on the turn gave Graham a flush, meaning that the only way Johnson could survive is if he hit a four to make a low that would get him half the pot. Well ask and you shall receive as the hit the river, giving Johnson an unlikely chop. The three players have returned to their chairs, and they are playing again. Perry Green Looking for Bracelet #4!